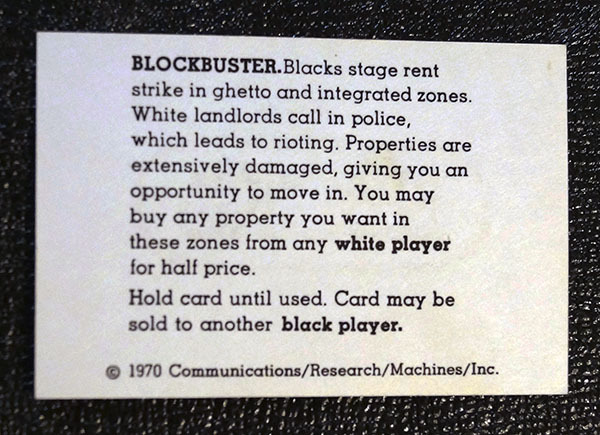 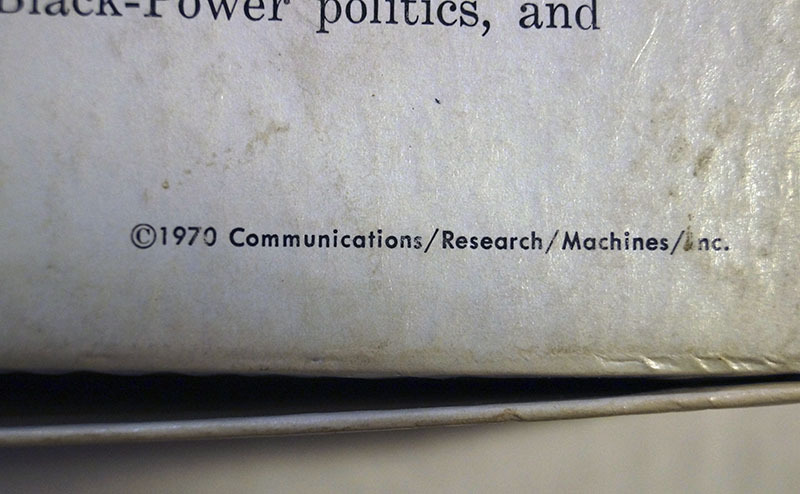 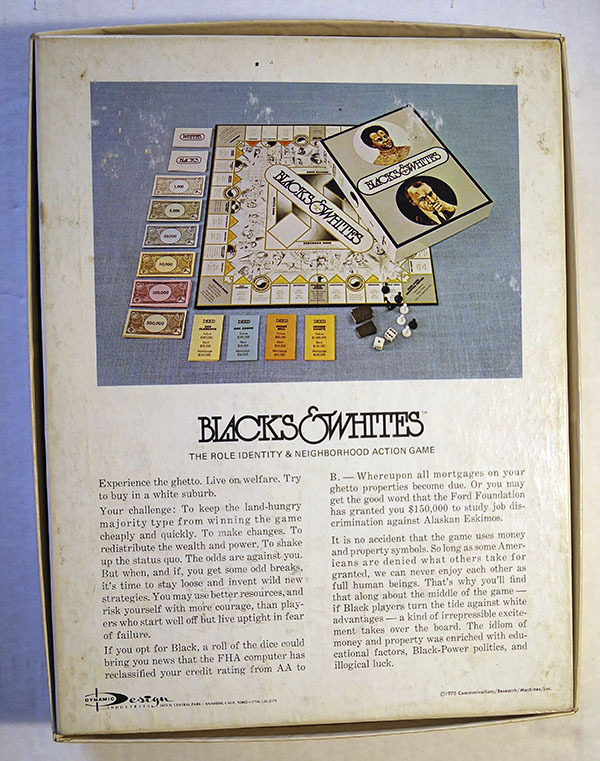 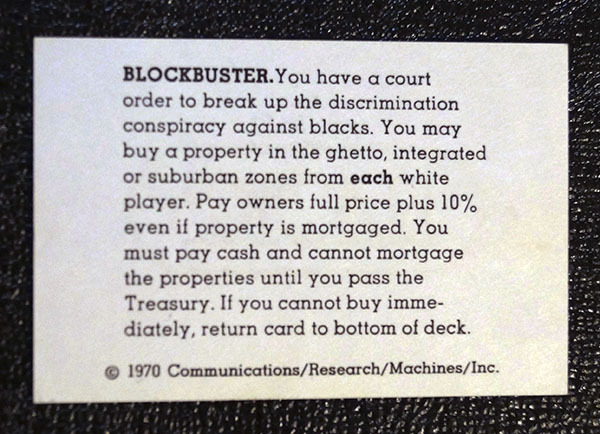 In 1970 Psychology Today published a board game where players were divided into white and black, and had to make economic progress while competing with each other. 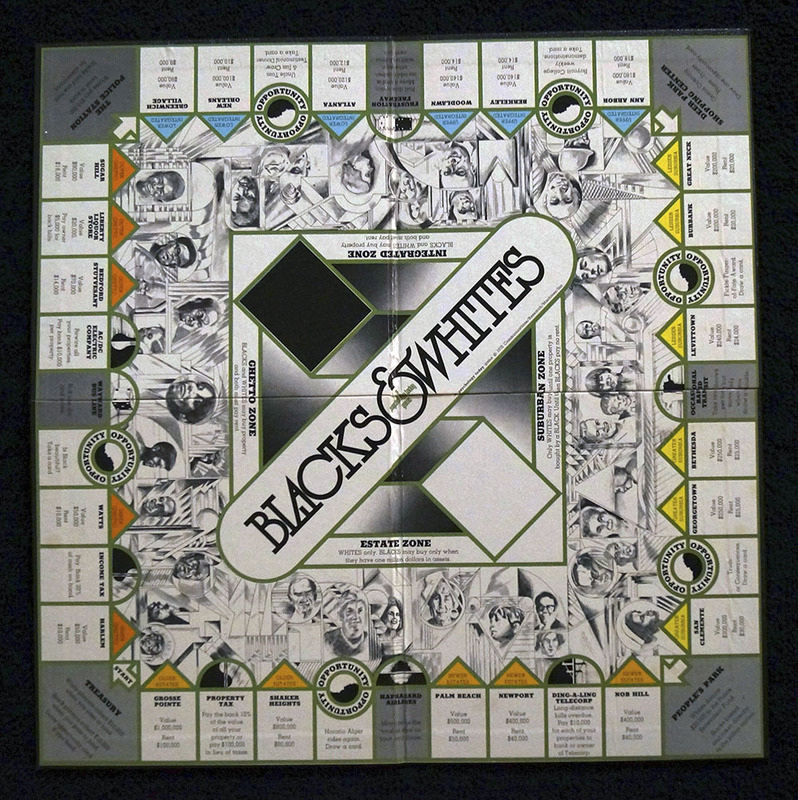 Based on Monopoly, the idea was to demonstrate how the odds were stacked against black people in society by having different rules for each race in the game. 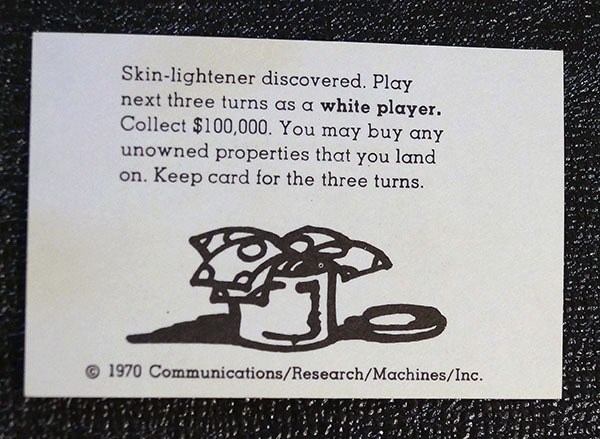 Whites started out with $1 million, blacks with $10,000 and each race had different opportunity decks. 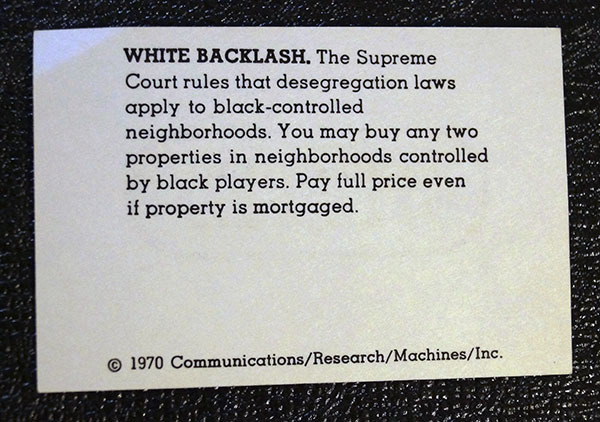 While whites could buy property in any part of the board, blacks were limited to certain areas until they had accumulated at least $100,000 and were outright banned from property in the ‘suburban zone’. 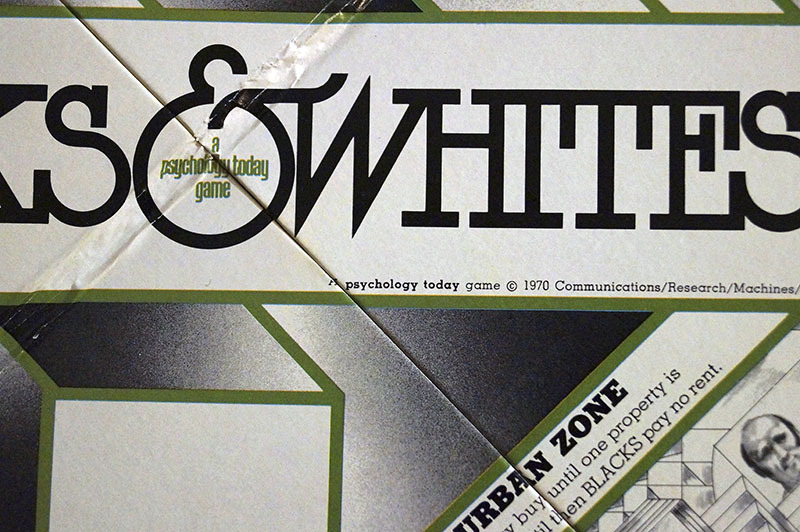 The game, produced by Psychology Today Games (an off shoot of the magazine) now on sale ($5.95) at major department stores, was developed at the University of California at Davis by Psychology Department Chairman Robert Sommer. 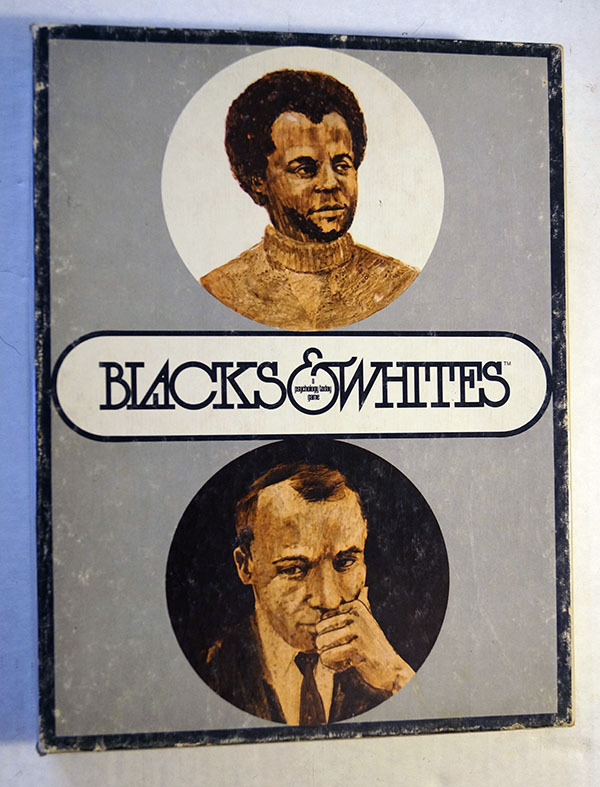 It was conceived as a painless way for middle-class whites to experience—and understand—the frustrations of blacks. 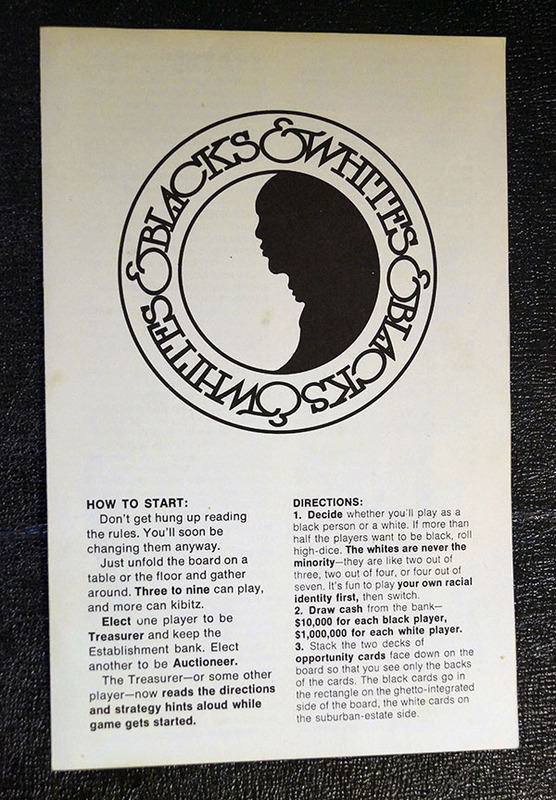 In Sommer’s version, however, the black player could not win; as a simulation of frustration, the game was too successful. 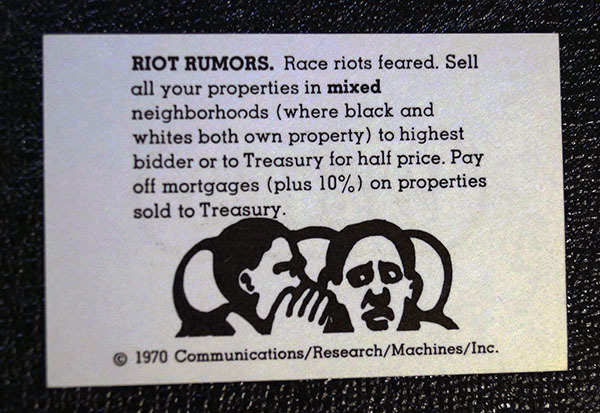 Then David Popoff, a Psychology Today editor, redesigned the game, taking suggestions from militant black members of “US” in San Diego. 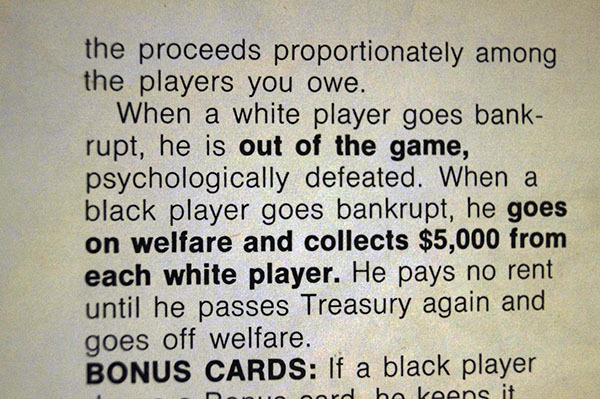 The new rules give black players an opportunity to use—and even to beat—the System. 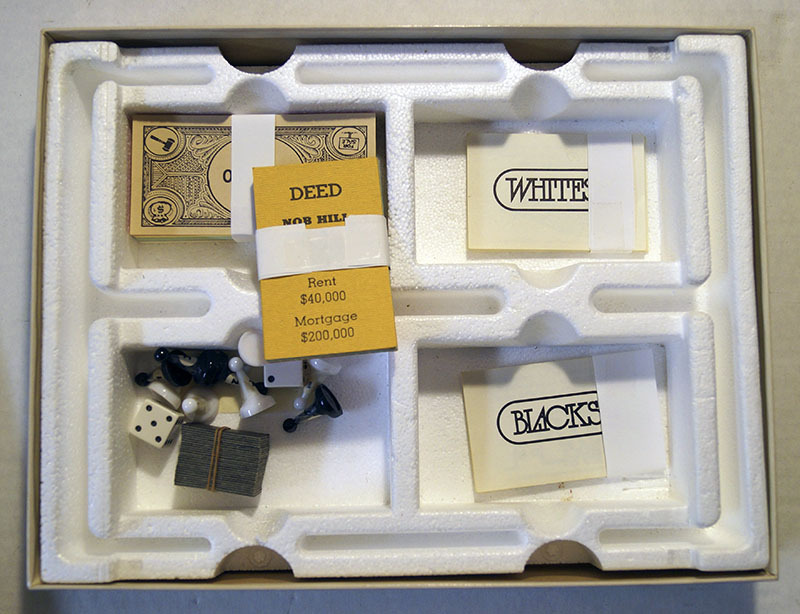 Although turning Monopoly into an attempt to draw people’s attention to social issues seems a little bit of a long shot, it’s worth noting that the original version of Monopoly itself, called ‘The Landlord’s Game‘, was designed to demonstrate how the current economic system led to inequality and bankruptcy. 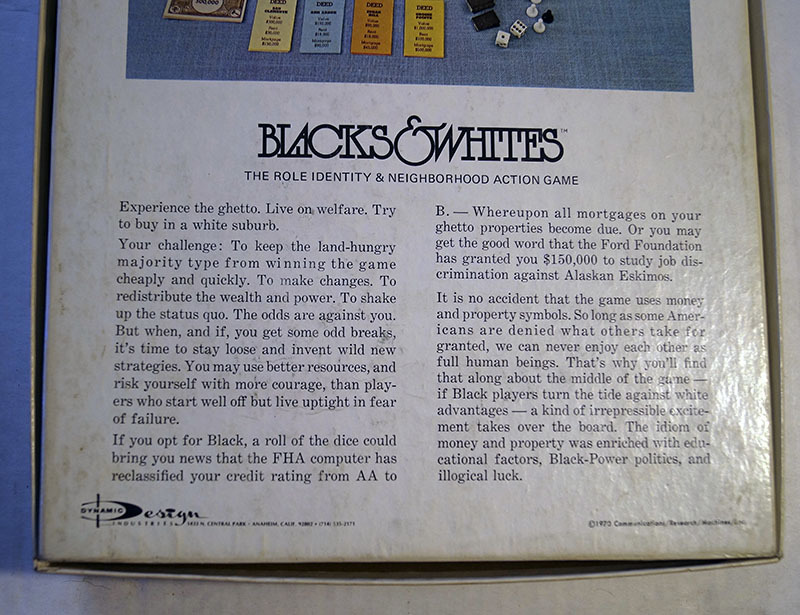 Psychology Today’s board game division seems to have been short-lived but other titles included The Cities Game – that involved ‘urban tension, corruption and the undercurrents of city politics’; and Woman and Man where ‘Each woman must accumulate enough Status Quo points (100) to prove her equality to men. 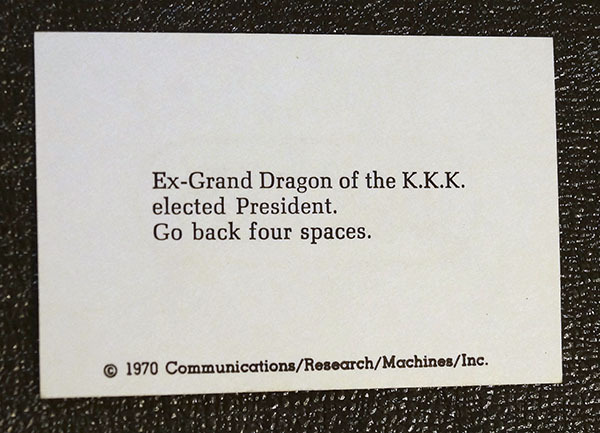 Each man must collect enough Status Quo points (100) to prove once and for all a woman’s place is beneath his’.